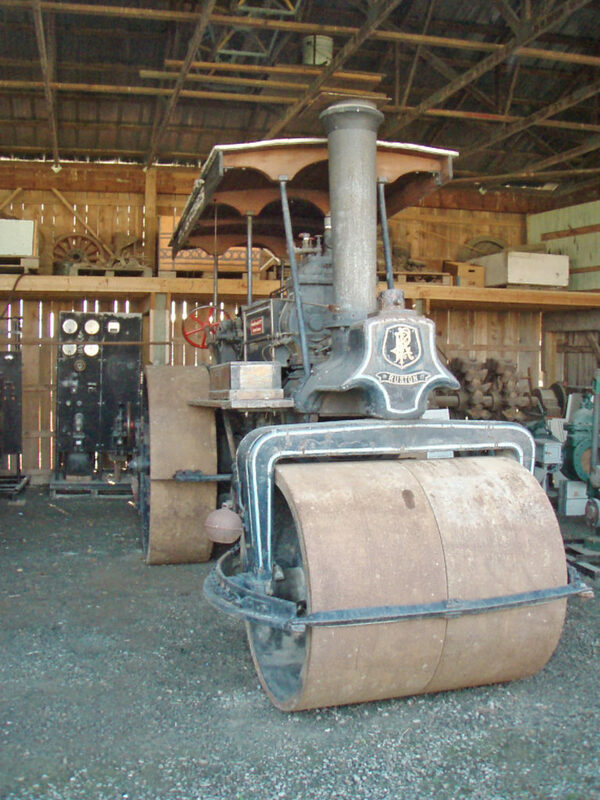 The 1911 Ruston-Proctor Road Roller as found again years later in Chilliwack. Loans, both incoming and outgoing, are one of the biggest headaches for museum Curators. Donations, purchases and deaccessions are straightforward in comparison, as the ownership of the item(s) is transferred. Loans are more complicated because the ownership remains with the lender, whether the lender is the museum or someone else. Too many museums have sloppy loan records and many problems occur, especially over time. Corporate memory is very short and a verbal agreement of a loan is often forgotten over time, especially with staff changes. 2. Avoid so-called “permanent loans” like they are the plague. If you have any “permanent loans” in place, work NOW to convert them to regular 1-year loans. At Burnaby Village Museum I was able to resolve over 90% of the many loans. Items were either placed on new 1-year loans or returned to the owners. 3. If you bring something into your museum as a loan, then you do NOT own it. You, the museum are responsible for it and must return it unless the owner decides to later donate it. You also are responsible for maintaining the relevant records. The owner TRUSTS the museum to take care of the items and to return them in as received condition. 4. ALWAYS have a written records and receipts for ALL loans! Lost Loan – My father”s best friend, Dr. I. F. “Hap” Kennedy, a Canadian Spitfire pilot who served in Malta during the WWII siege and later commanded a Canadian fighter squadron over Normandy, was shot down by Flak and evaded the Germans. He later lent his false French identity documents to the Canadian War Museum. The CWM later improperly lent them out to the Canadian Broadcasting Company and they were lost. Dr. Kennedy was naturally furious with the CWM for the rest of his life, as they had broken the trust. There is an old saying “An unhappy customer will tell 10 people about the poor service he or she received.” Today with the Internet, they night tell millions of people. 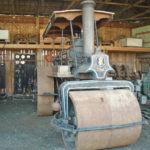 Tractor – A large museum in Alberta reportedly restored a farm tractor at considerable effort and expense. The owner then showed up, claimed his property, and took it straight to an auction house. The museum was lucky that he did not sue them as it was not theirs to restore and he might not have given them permission to restore it if it had been very original and/or very sentimental. Locomotive – At one museum where I was Curator, we had an 1880s locomotive. 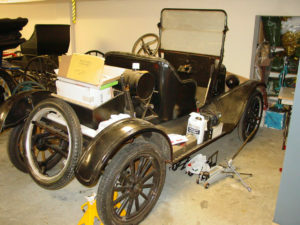 We found out that it was on loan from a society and had been at the museum on loan for over 25 years! The museum had actually lent the locomotive to another museum for a year during that period as they forgot that it was not theirs. In pre-Internet days, my staff tracked the owners down and had it donated. Circa 1922 Ford Model T car that had been on loan at Burnaby Village since about 1972 and the owner had died. Teddy Bear Muff – An old lady had lent her circa 1910 Teddy Bear Muff to the museum back in the 1970s. This was a hand-warmer suspended by a ribbon around the neck and with slots in the teddy bear body sides to slide the little girls’ hands into. The museum staff and public all loved it. However, when going through the accession records, we found a loan form which said that in the event of the owner’s death, the muff was to go to her niece who was named. My then very able Assistant Curator, Ms. Susan Green, in the years before the Internet, learned that the owner had died and managed to track down the niece in California as I recall. We informed the niece that it was now hers, and asked if she would donate it. She declined and so we returned it to her. The 1911 Ruston-Proctor Road Roller which was operated from 1912 to at least 1969 by the City of New Westminster. Shown here in 1969. Road Roller – At the New Westminster Museum and Archives, we discovered that we owned a 1911 Ruston-Proctor Road Roller weighing about 33,000 pounds. None of us had ever seen this “little” item however. Corporate memory is short. I traced it to having been lent to Burnaby Village Museum about 1983, but it had left there by 1986 when I started work there as Curator. It was used in an EXPO 86 Transportation display, then went to he B.C. Transportation Museum in Surrey, B.C.. 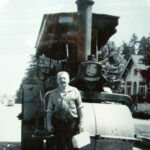 They were later closed down and the Road Roller went to Atchelitz Threshermen’s Association’s Museum in Chilliwack, B.C. I was able to have it returned to the City of New Westminster and we heard horror stories of how it was almost been stolen during the years it was away, how part of it was in a garage that burned down (the pieces were saved)and that the machine was almost shipped to England where it could be worth over $200,000. Sadly English skills are declining and people make up words or use the wrong words. In 2017 I had a Curator tell me that “borrowing” was no longer used by museums and that “loan” = to lend. He was wrong. Here is terminology that I use and recommend. TO LEND – A verb. The act of lending an item(s) to someone else..
TO BORROW – A verb. The act of borrowing an item(s) from someone else. LOAN – A loan is an agreement to lend/borrow something, with a promise to return or repay it later. Loan is a NOUN, not a verb. It is a thing, not an action. INCOMING LOAN – Any items borrowed by a museum from an owner. OUTGOING LOAN – Any items lent out by the museum, e.g. to another museum. INCOMING LOAN FORM – Used to record the loan of items coming into the museum. OUTGOING LOAN FORM – Used to record the loan of items from the museum’s collection. TEMPORARY RECEIPT – This refers to a short term loan and can include items offered to a museum as donations. Some museums have committees that vet donation offers so there would be a delay between the time the item(s) comes in and the time it is either accepted or rejected. These should be numbered e.g. TR 2017-1 and filed sequentially. If the donation offer (all or part) is accepted, or declined, the notes are made on the form, owner signs for any returned items, with cross reference to an Accession Number if the items are accepted, and the TR form is closed off. Keeping track of loans, both incoming and outgoing, is the job of the Curator or ideally, the Museum Registrar if there is one. A file folder should be created for each loan. The loan form signed by both parties should be filed there. It is best to keep a “hard copy” for legal reasons rather than go totally digital as it is a legal document. When the loan is closed, this form should be signed off by the lender and borrower. Other correspondence relating to the loan, condition reports, photographs etc. should be kept, perhaps digitally. The responsible museum person sets up a procedure to annually review the loans, wither as they expire or in a given month (e.g. January) each year. After a loan has been closed off, the relevant documents should be scanned and filed, then the originals could be destroyed. To return to “Museum Lessons” page, click here.